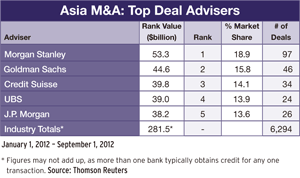 Despite a decline in global mergers and acquisitions valuations in the first half of 2012, a recent uptick in technology and Asia-Pacific deal values provides some hope for a revival of M&A activity in the months ahead. American Appraisal, a global valuation firm, says high prices are being paid for technology assets, and buyers are still willing to pay for high-growth assets. In a report on transactions in 28 countries, American Appraisal says that while instability in the eurozone is jeopardizing global economic recovery, lower valuations are providing an attractive climate for eurozone acquirers. “Successful private equity exits over the past year, such as KKR’s sale of Alliance Boots to Walgreens for $6.7 billion, demonstrate that substantial returns are still achievable,” says Joseph Zvesper, chairman and CEO of American Appraisal. Further dealmaking is expected across emerging markets as firms expand product lines to satisfy evolving consumer demand, the report says. “Despite recent downward growth forecasts, businesses in the consumer space need to establish a brand and position it in the market if they are to reap rewards in the long term as new opportunities arise,” it says. Some 40% of US chief executives are planning to make an acquisition in an emerging market this year, compared with 28% in other parts of the world, according to Pricewaterhouse-Coopers. Divestiture activity is also on the rise, accounting for nearly 28% of overall deal volume in the first half of 2012, versus 22% in the same period of 2011, says the accountancy firm. Despite the uncertain global economy and volatile equity markets, which slowed US deal volume earlier this year, an upturn in M&A activity at the end of the second quarter and an active pipeline indicate that the market is regaining momentum, according to PwC US. 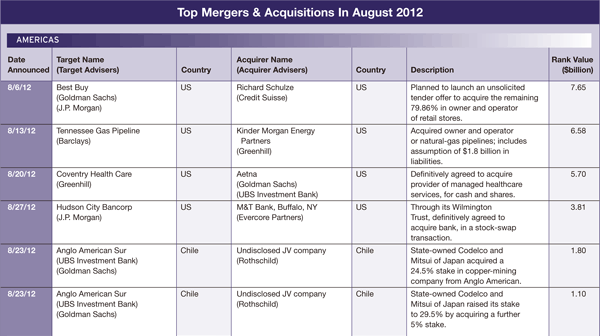 With companies focused on targeted growth strategies, it expects US merger activity to accelerate in the second half of 2012. Technology deals comprised roughly 21% of US M&A volume in the first half of the year and are expected to drive a substantial level of activity in the latter part of 2012, PwC says. In contrast to North America, where M&A activity slowed between the first and second quarters, Central and South America saw deal volume and value increase in this period by 14% and 8%, respectively, according to American Appraisal. 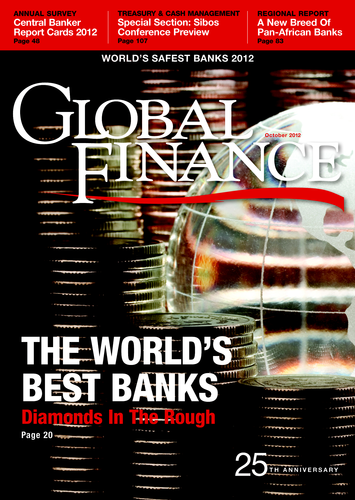 “The ongoing buoyancy mirrors foreign companies’ appetite for growth in emerging markets,” it notes. Valuations in China have come under increasing pressure as growth slows in line with suppressed exports, American Appraisal says. However, according to PwC, concerns over the slowdown may be allayed in the second half of 2012, as the government aims to stimulate domestic demand.